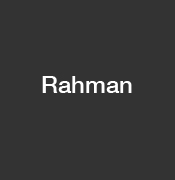 Profile of the victim : “Mr Rahman, 30, was a computer graphics teacher from a Muslim family of modest means. His widow, Priyanka Todi, 23, is the daughter of a wealthy Hindu clothing manufacturer. They secretly married in August and she left her family’s lavish suburban villa for his cramped apartment in a poor Muslim area of Calcutta. The accused : Priyanka’s father Ashok Todi. Place of Murder : a city railway track in Calcutta. Date of Murder : 21st Sep 2007. Assassination : While Rizwanur was a Muslim who had struggled from the slums of Tiljala to become a graphic designer and teacher, his 23-year-old wife, Priyanka Todi is a Hindu and belongs to the Rs 200-crore-plus Lux hosiery andar-ki-baat-hai business family.